My days have been spent baking savory breads and making jams and jellies (a post is coming soon on the jams and jellies). We have been so busy that we have almost let the garden go. But this past weekend we decided it was time. We had talked about putting in a big enough garden that we could sell our produce, in fact we already have requests for produce from friends and family. But that was not to be. Our tiller decided to not start. Mr. HFA is pretty handy and mechanically inclined so he can fix almost anything. When he couldn't fix it, I knew we were in trouble. Of course his first comment (out of frustration) was we might as well forget about a garden this year. But for me, that is not even an option. Last year our garden was a total flop. We had so much rain within a 30 day period that not only did our garden flood, killing everything in it, but our roof on our house leaked sending a steady stream of water into our living room floor. With that amount of rain, we did not have a garden last year, and I did not want to repeat the same fate this year. 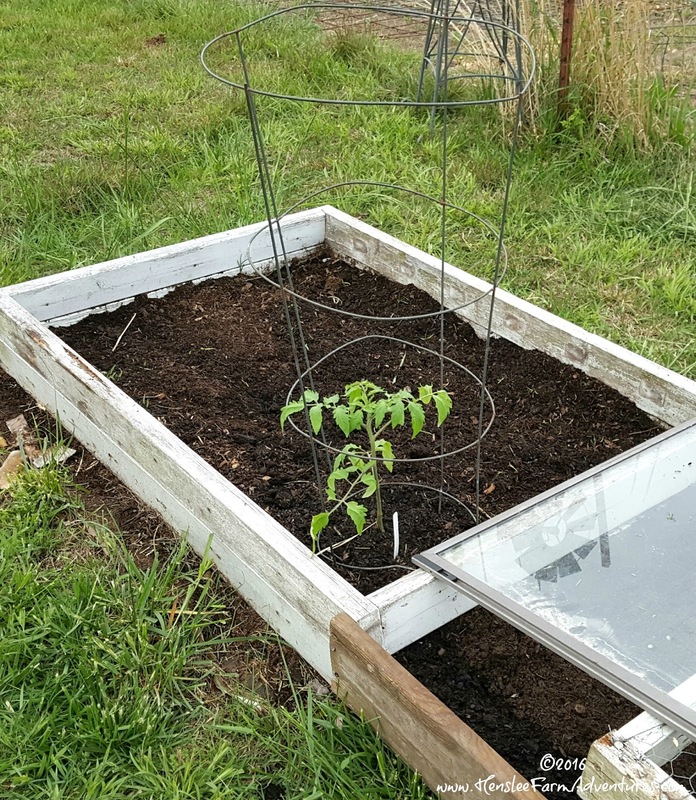 In the fall of last year, Mr. HFA built me some raised garden beds with wood we already had on hand. You can read about it here. 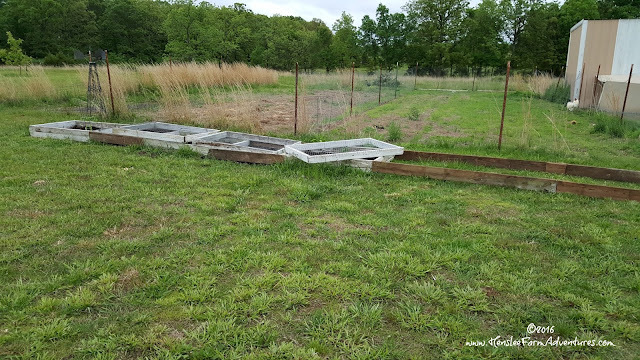 We decided to add on to our raised beds and make a bigger area. Blackberry blossoms, our hillside is covered with them! We have seen signs this spring of a good harvest. I hope that it continues. 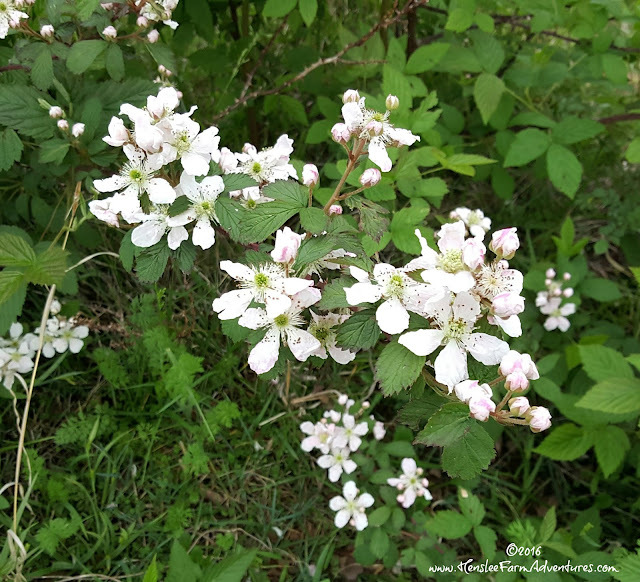 Our blackberries are filled with blooms. In fact I have never seen so many in the 4 years that we have been on our land. The last time we picked blackberries, we were able to get a bucket full and that's it. This year, I already have dreams of blackberry cobbler, blackberry jelly, and selling blackberries at the farmer's market. Our wild gooseberries! The berries are getting so big! Our gooseberries are also doing really well. In fact it won't be much longer before they are ready to pick. 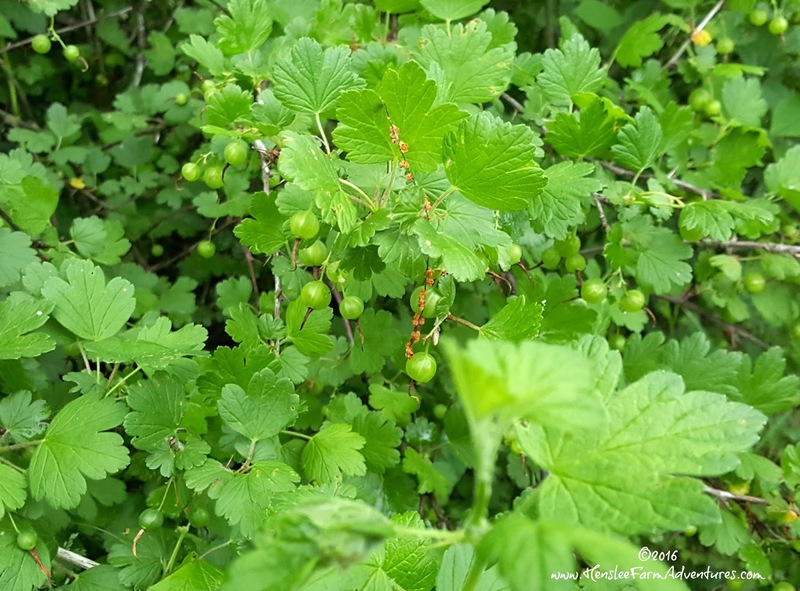 The gooseberries are wild, and usually the wild ones are small. However when we went walking this past weekend checking out our berries, I noticed that they are huge for being wild. So our garden has started. Since I didn't take the time to start my own plants this winter, I do need to buy some more tomato plants. Of course I will get those at the farmer's market. They are better quality and less expensive than getting them at a big box store. And we need to finish up the addition on to our raised garden bed. Our pepper plants. Since our chickens are free range, we have to have covers for our garden. Currently we have a tomato plant, cucumbers, peppers, green beans, and okra. I will be adding more as we get more space. Our loan tomato plant, but it won't be for long. I think we will try and fix a spot in our "normal" garden area for some pumpkins, gourds, and watermelon. They need lots of space to vine. Our raised garden. You can see our original garden area right behind it. So while normally we would feel defeated, I'm not going to let set-backs ruin my garden this year. Is the raised garden pretty? No, not by a long shot, but it will be beautiful when all those vegetables start growing. And if we only get enough to feed our family, then I will be more than happy with that. Of course I'm hoping to have enough cucumbers to make some of my yummy sweet and spicy pickles and our family's favorite lime pickles. So I guess the moral of this post (there is always a moral, isn't there? ), is that no matter what life throws at you, find a way to keep on. You may need to reinvent your original idea, but don't let anything stop you! 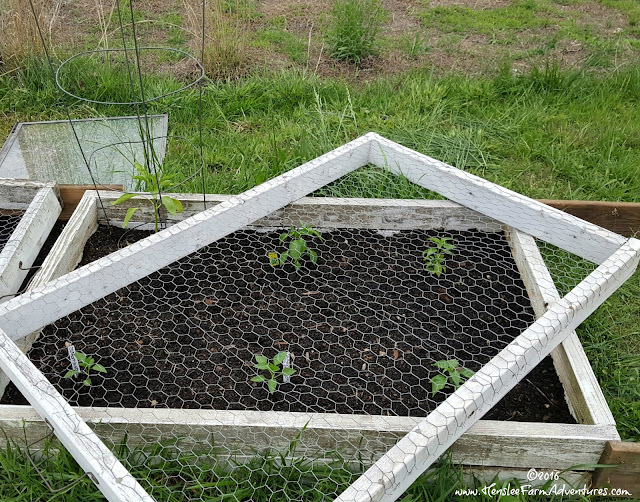 Let me know in the comments below how your garden is doing!